We travel to here every year, the giant beckons. 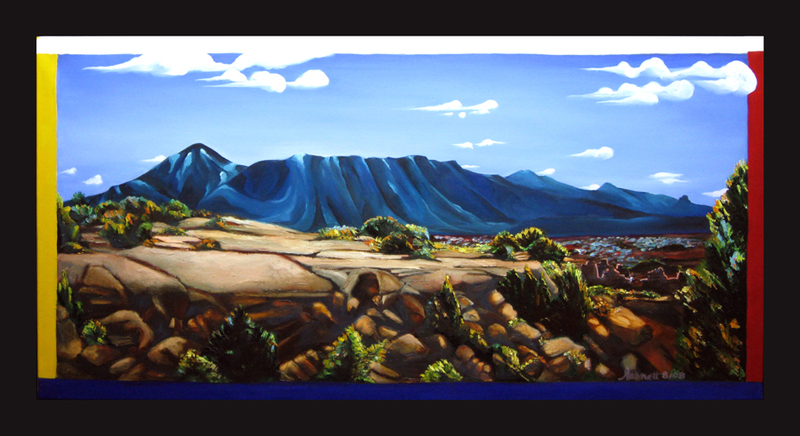 This painting is a view of the Sleeping Ute Mtn. from Hovenweep Nat’l Monument in SW Colorado. The land is controlled by the Navajo and most of us cannot go there. 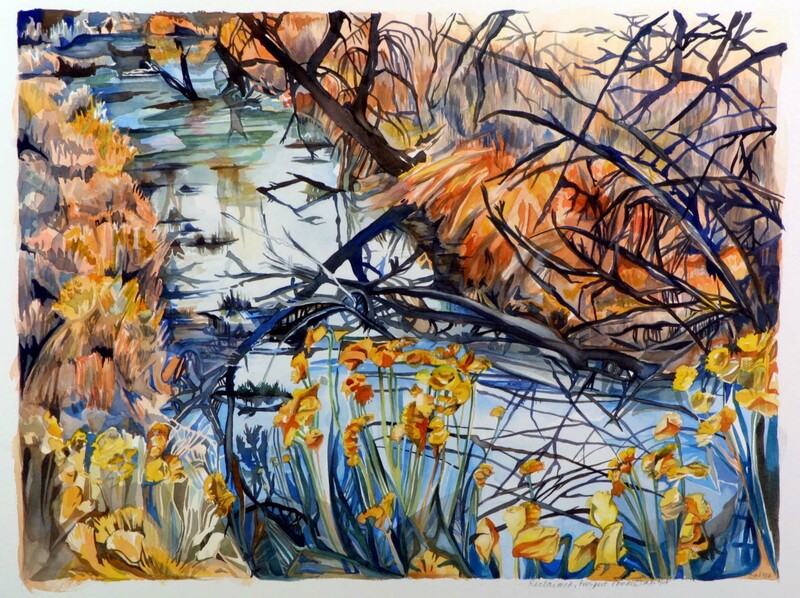 This painting is 24″ x 48″ even though it doesn’t look that big here. This is Lime Ridge a ridge of green & red sand packed down into rock; the red made me think of the snakes who live there. 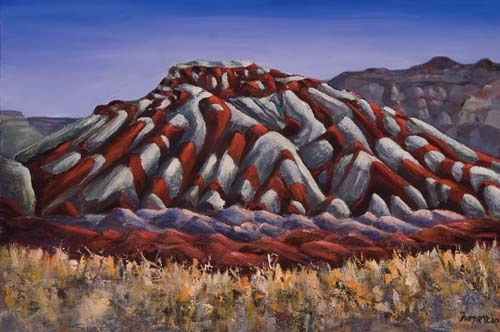 Its on the way from Bluff UT to Mexican Hat, NM. That’s the San Juan in the valley between the two ridges. 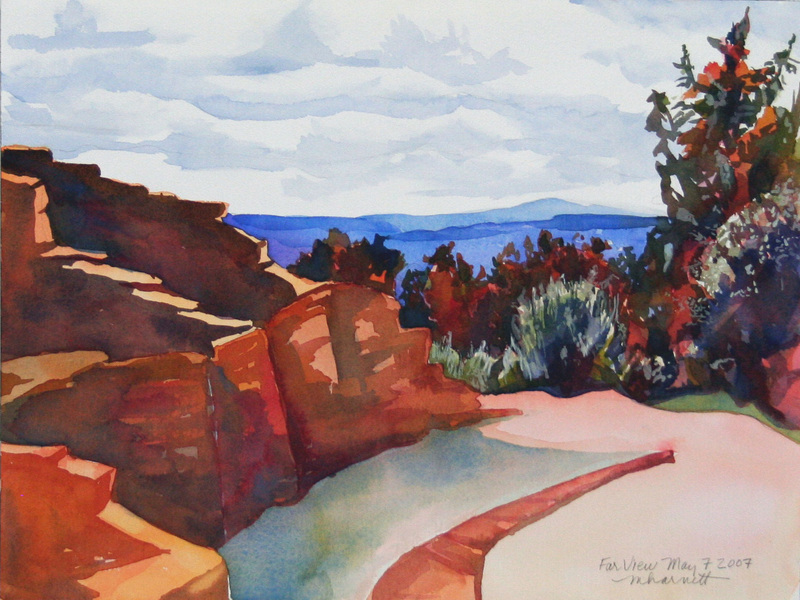 Far View, Ancient Puebloan House, what a view! View from Bridge on the North Fork of the Poudre, upstream to Gateway Park. I worked in the aggregate mining business for several years, reclaiming gravel pits to living wetlands was very satisfying; this is a reclaimed pond. 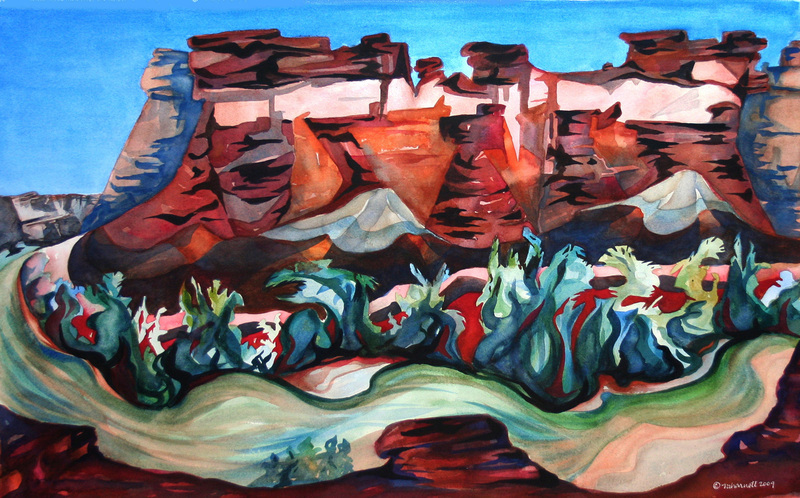 This painting is kin to Lime Ridge, the San Juan River is surrounded by ancient rocks that are every color of the rainbow. The river flows cool in this desert and reflects the amazing landscape. This entry was posted on March 27, 2011 by Mary Harnett. 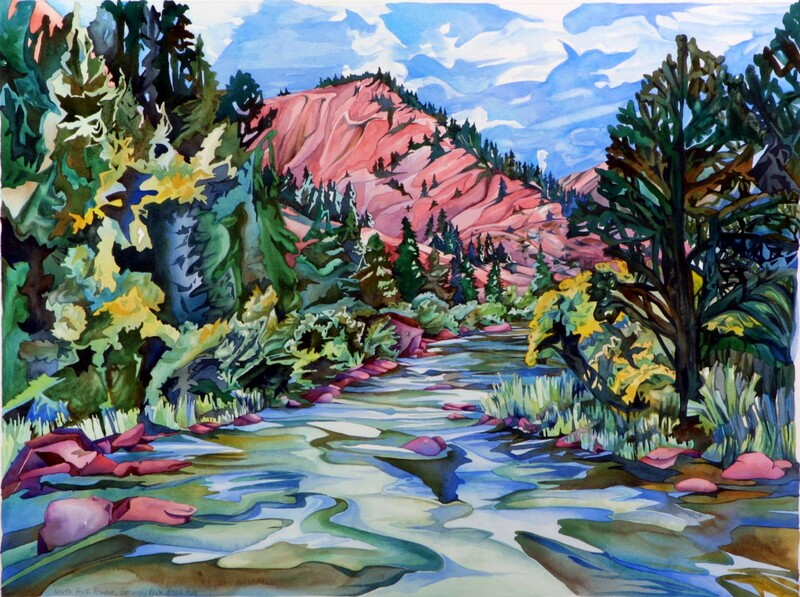 It was filed under Landscapes, Oil Paintings, Uncategorized, Watercolor Paintings, Western Landscapes and was tagged with SW Colorado.